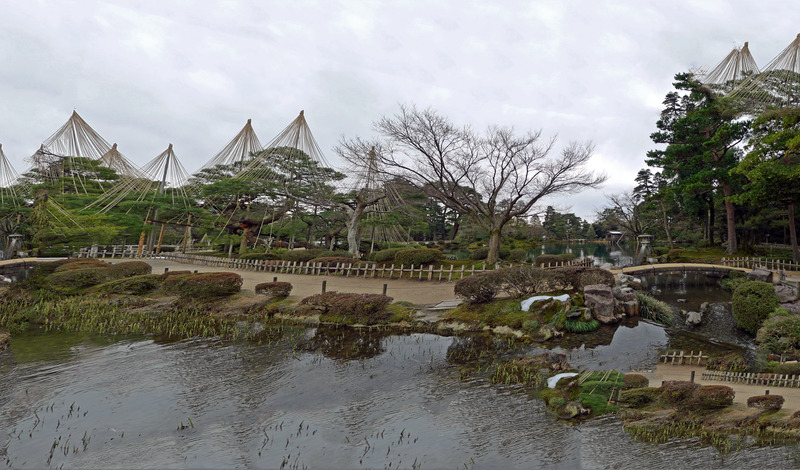 Kenrokuen in Kanazawa (entrance fee ¥300, free for Seniors over 60) is one of the ‘3 Great Gardens in Japan’ (the other 2 being in Kyoto and Okayama). Unfortunately, our timing wasn’t great as we arrived on an early spring morning with a heaving sky which later drizzled. The garden is smaller than I had imagined with a couple of souvenir shops, but neither served hot coffee, except from the vending machine! The garden is pristine with pine trees and very meticulously landscaped. 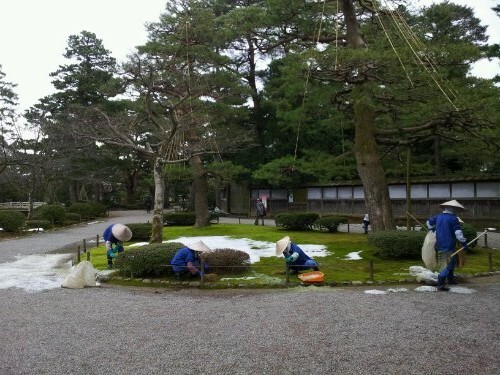 I saw the gardeners busy combing the ice off the lawn. I was wondering about the ropes in the trees. Apparently, they were to prevent the trees from snow damage, but now they are mostly decorative and even the tiny bonsai plant that I saw is roped. This is Kanazawa’s trademark I was informed! 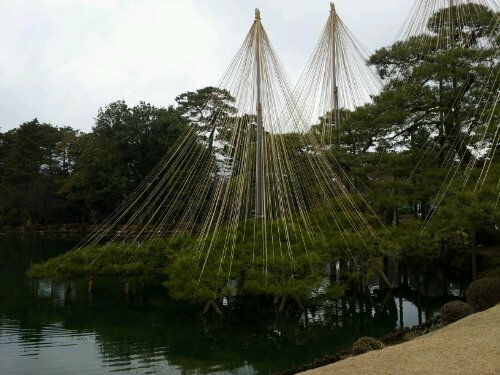 Ropes in trees – trademark of Kanazawa! 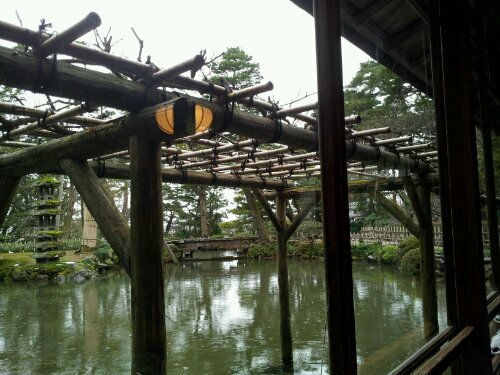 Our lunch today is at Miyoshian located right in the middle of the Kenrokuen Garden. Our lovely concierge from our hotel had booked for us a table by the window, so we can enjoy the serenity of the pond at the same time listening to the soothing trickling of the Midoritake waterfall. 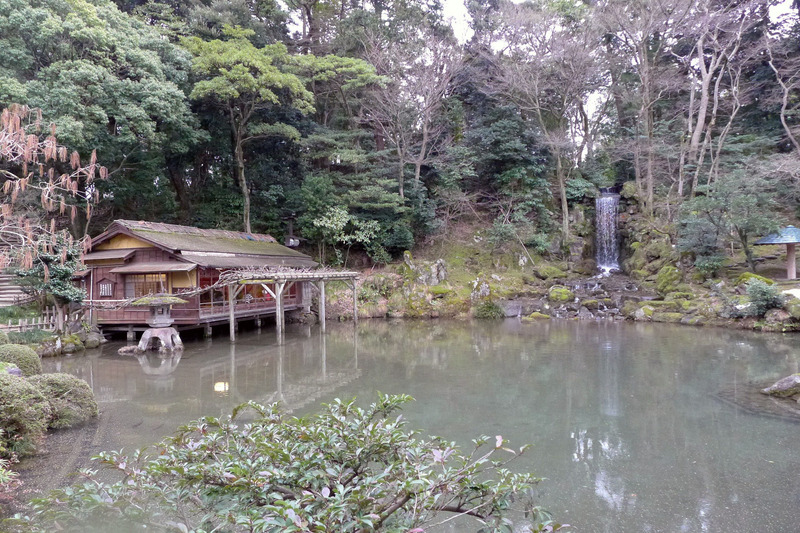 There are 2 Miyoshian restaurants in the garden. We chose the tatami room(reservation recommended), the other restaurant opposite has tables and chairs for seatings, but no views. The Lunch: Set meals starts at ¥1500, but since we had made a reservation for the tatami room, we had to take the ¥2000 lunch set. 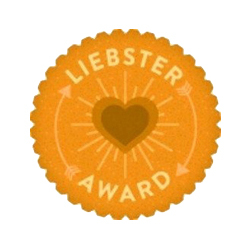 Service was spotty, with only 2 forgetful waitresses who had to scurry from the other restaurant, but otherwise very amiable. 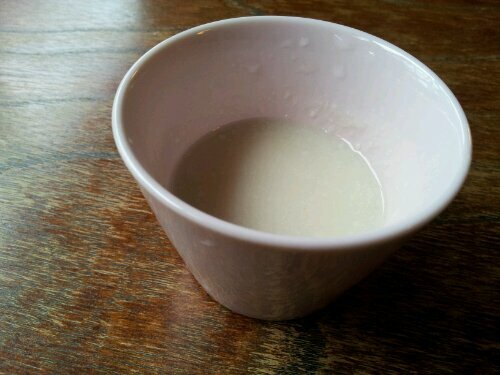 After ordering our pre-ordered set lunch, we were served a sweet, thick, gooey fermented rice beverage, which we all enjoyed. We assumed it to be a non-alcoholic sake. When our set lunch arrived, we were taken aback but humoured with the childishness of the lunch-set assortment – green, white, peach-pink, yellow – is this a lunch for Barbie? The funny thing about Japanese hospitality is that they will speak to you in Japanese even though they know that you can’t understand a word of what they were saying – they will still very patiently introduce each dish presented. Unfortunately, it was not until I got back home in Sydney and did some googling on what we ate that the symbolic significance of the food served to us were understood. Nevertheless, better late than never, here is my deduction of our Barbie’s lunch. Our Barbie’s lunch was actually a Hina Masturi lunch set featuring the all-important Hina Matsuri color palette of green, white, peach-pink and yellow. 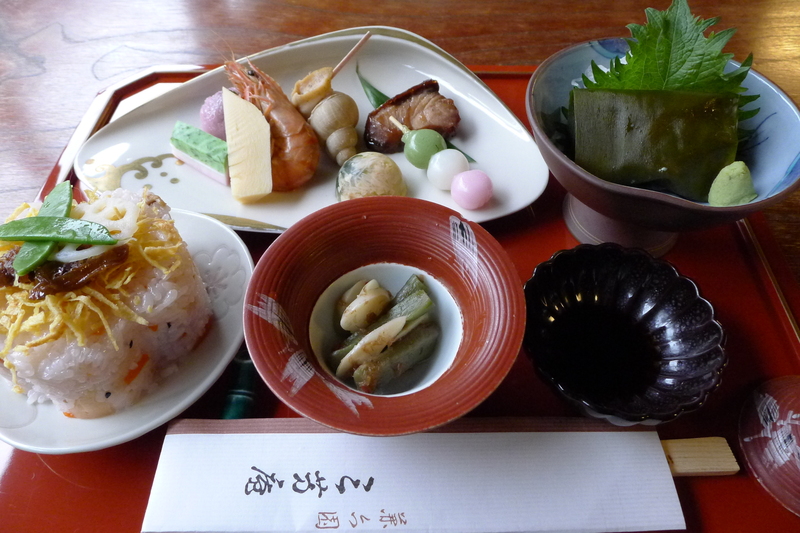 Their dainty presentation originates from the refined foods of which ladies of the imperial court had in the Edo Era. Yellow (in some regions): Refers to the yellow flowers of the nanohana plant, a vegetable related to broccoli that is a major harbinger of spring. The three small stickyballs in pink, white and green on a stick are called dango, similar to mochi, except with no fillings. 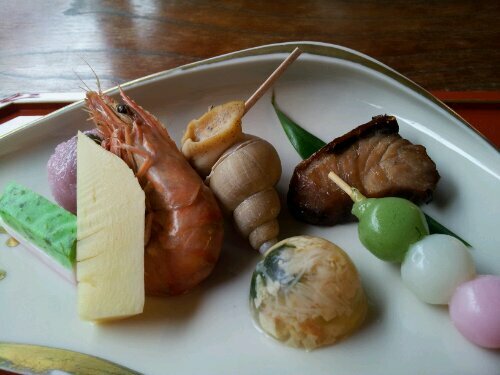 Ushiojiru is a clear soup made from hamaguri clams, which I believe to be in season. The shells symbolise a joined pair, signifying the wish for a happy union in marriage. 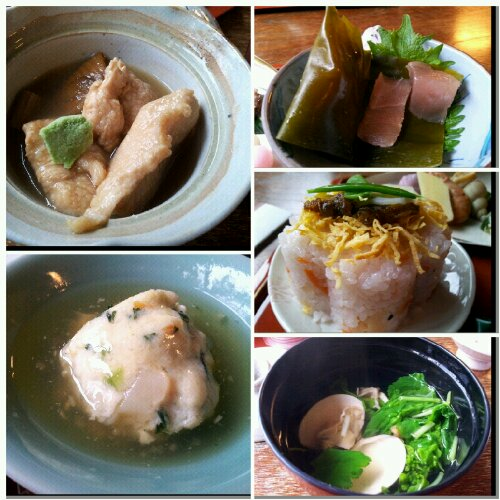 Hasumushi is grated Kaga lotus root with shrimps and gingko nuts that is steamed, and covered with a thickened broth. It has a glutinous texture. 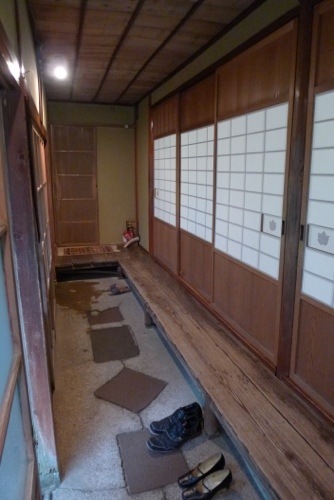 …Perhaps a more ‘authentic’ and better tasting Jibuni can be found at the shops outside the garden at ¥550. There are also plenty of modern cafes outside serving pasta. I also visited Seison Kaku Villa (entance fee ¥1000) which I highly recommend. 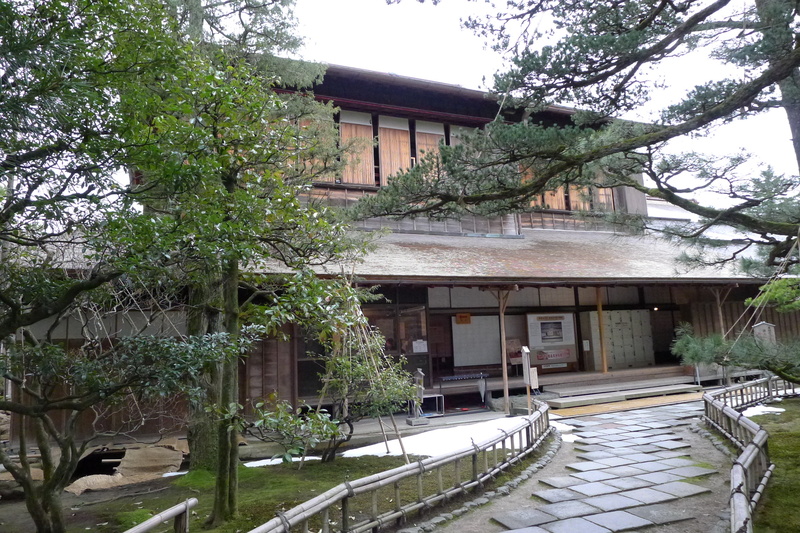 This 2-storied building had the Buke-Shoin (Samurai) style rooms on the ground floor and a Sukiya-Shoin (combination of Samurai and Tea-ceremony) style rooms upstairs. Walking on the squeeky patio was interesting as it still emitted the sounds of nightingales when weight was pressured on. The upstairs were coloured in bright blues, reds, purple and black – very innovative for its time. Choice glass imports from the Netherlands were also preserved showing the wealth of its owner Maeda Nariyasu. 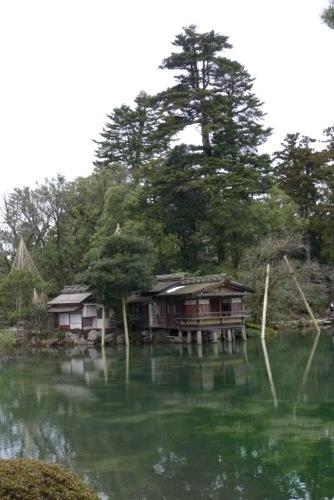 This entry was posted in Japan, Kanazawa and tagged Ama-sake, Barbie's Lunch, Buke-Shoin, Gardens, Hasumushi, Hina Masturi Food, Jibuni, Kaga Cuisine, Kanazawa, Kenroku-en, Kenrokuen Garden, Maeda Nariyasu, Miyoshian, Sei Son Kaku, Sukiya-Shoin, Ushiojiru. Bookmark the permalink. 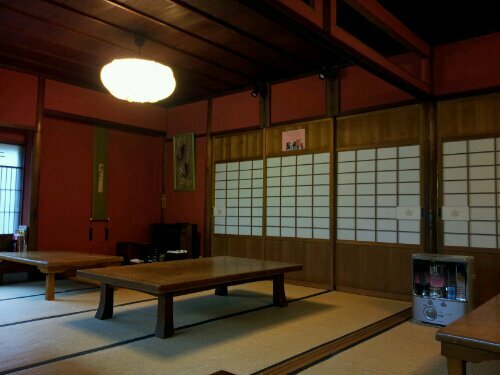 I absolutely love the tatami rooms! It’s always fun kneeling on the floor while eating. 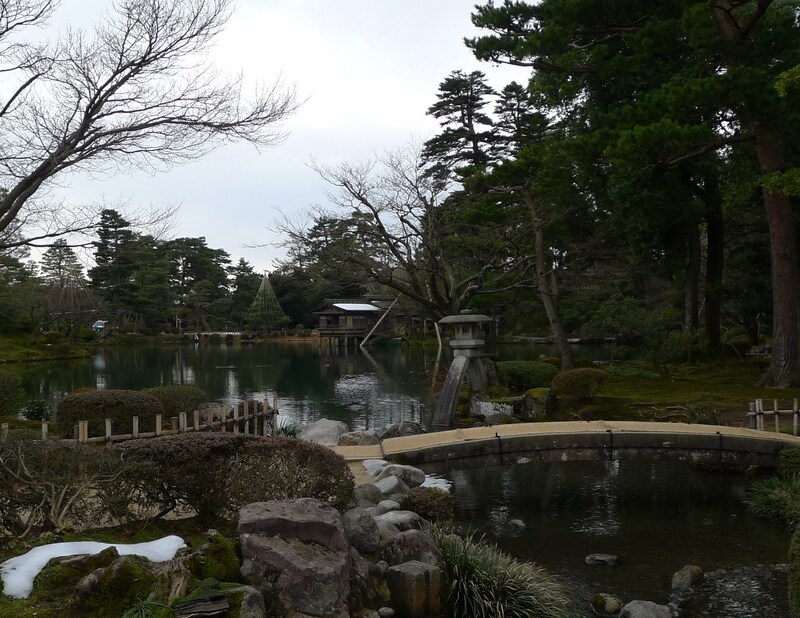 Kenrokuen garden in Kanazawa is like a hidden gem. I should check it out one day:) Thanks for taking the time to write such a thorough travel guide. So hilarious you called your lunch set a “lunch for barbie”. 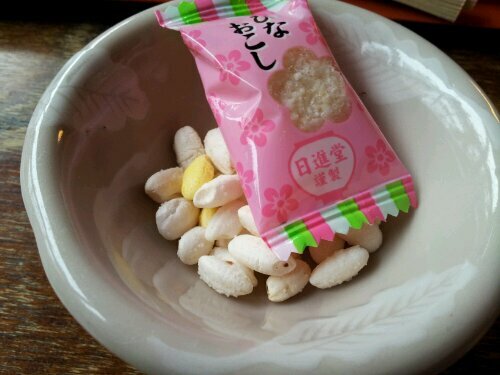 But Dango 団子 looks so good! Yum, I’m hungry again. You should visit in Spring, we went at the end of Winter, so it was rather cold and sleeting! I coined it “Lunch for Barbie”, because it looked very dainty. Haha!